Each spill kit absorbs acids, bases and many other liquids [compatibility guide]. 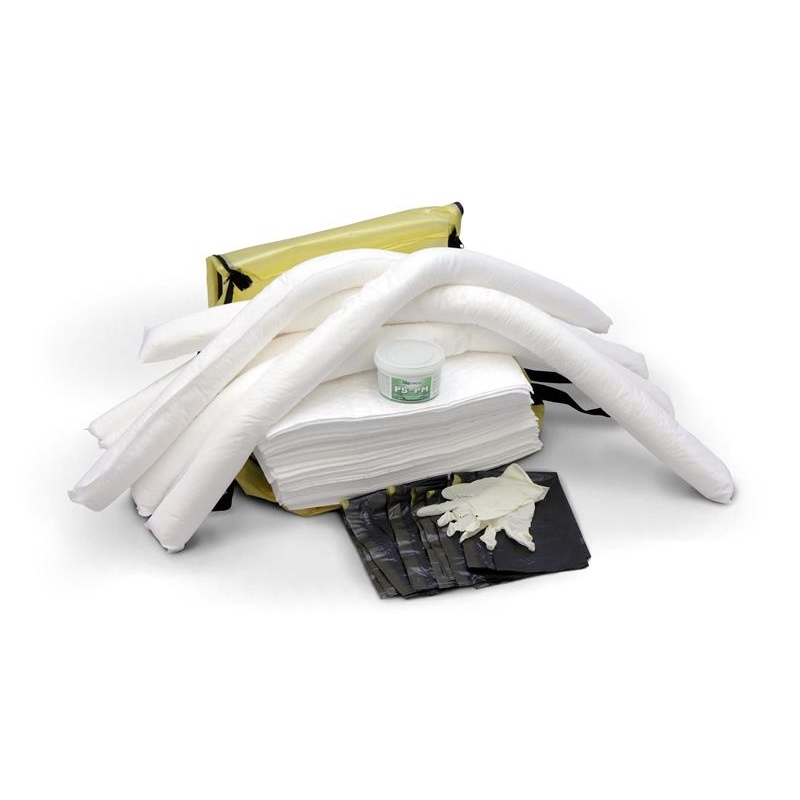 Rugged bag is packed with 50 universal pads, 8 universal socks, one pre-mixed plugging and sealing putty and 3 PVC bags. 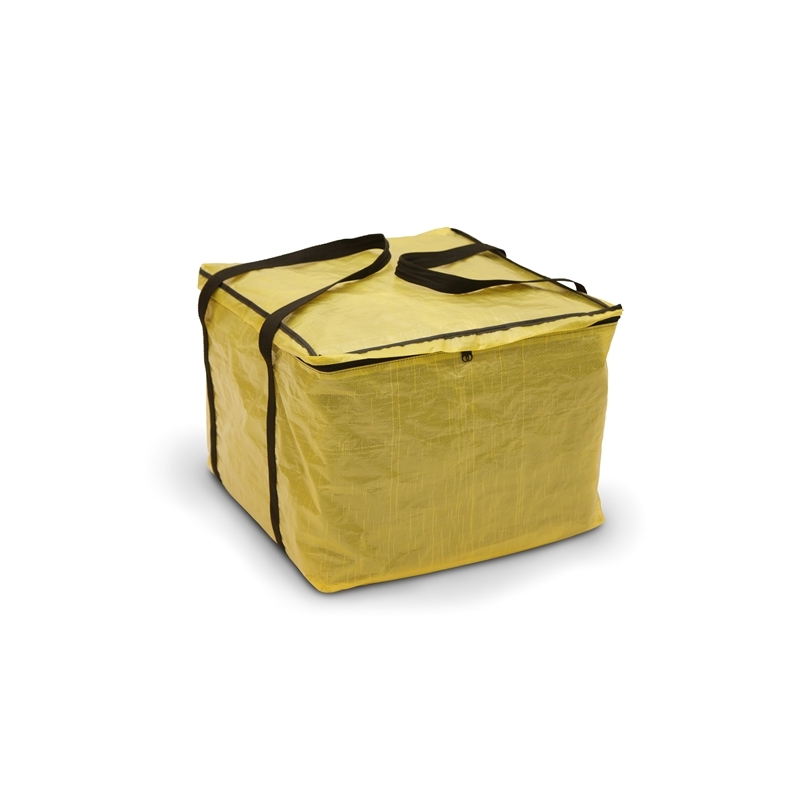 The rugged bag stores spill response supplies, then acts as a temporary disposal bag. Absorbency of the absorbents contained: 80-120 liters, depending on viscosity of oil.